New Directions Publishing Corporation, 9780811216593, 192pp. 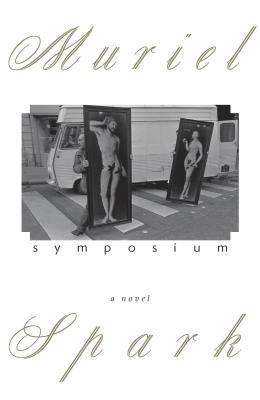 Symposium was applauded by Time magazine for the "sinister elegance" of Muriel Spark's "medium of light but lethal comedy." Mixed in are a Monet, a mad uncle, some unconventional nuns, and a burglary ring run by a rent-a-butler. Symposium stars a perfectly evil young woman (a classic sweet-faced hair-raising Sparkian horror) who has married rich Hilda's son by hook or by crook, hooking him at the fruit counter of Harrod's. There is also spiritual conversationand the Bordeaux is superb. "The prevailing mood is urbane: the wine is poured, the talk continues, and all the time the ice on which the protagonists' world rests is being thinned from beneath, by boiling emotions and ugly motives .No living writer handles the tension between formality of expression and subversiveness of thought more elegantly." (The Independent on Sunday).